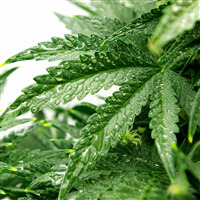 The Cannabis Leaves Soap Mold Tray creates 6 bars of soap, each with the a larger leaf in the middle and a small leaf in each corner. 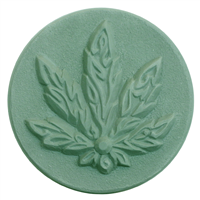 Use this soap mold to create novelty soaps for all who enjoy cannabis! Tray Size: 6.5" x 6.275" x 1.25""
Avg. Bar Weight: 5.05 oz Bar Depth: 1.25"
Bar Length: 2.2" Bar Width: 3"
"Great for hemp oil soap"
COMMENTS: Soap made in this mold was a big hit at my last show. I made some hemp oil soap and some psychedelic swirled soaps that were picked up for fun gifts. To ease unmolding, I sprayed some cyclomethicone before pouring. Helps with cold process soaps! "Hi! How many ounces of soap those this mold hold individually for each cavity?" Staff Answer We have not received this mold yet but we will add this information as soon as it is in-house. Thank you for your patience.